I started using Twitter in 2009 ( @thecreativepenn ) and it quickly became the center of my author world. I met like-minded people and learned about the industry, as well as using it to connect with customers, readers and influencers. Twitter is still part of my core book marketing strategy, but there's always more to learn. In this article, Jesper Schmidt, author of Twitter for Authors, shares his tips. You can probably agree that well-known authors make everything seem so easy. They have a huge social media following and sell books by the bucketload. It's very easy to jump to the conclusion that if you, too, amass a huge following, then success can be replicated. This was my initial line of thinking, too. I thus managed to acquire 6,000 Twitter followers before I even released my first book, and I was pretty proud of myself. I thought I had struck gold. I felt extremely discouraged, but I wasn't prepared to give up. Instead, I began a year-long research trip into the world of Twitter. I wanted to achieve three things: to save time, to increase my audience, and to grow my email list. That last part – growing the email list – will be the focus of today's article. No matter how we twist and turn it, the number one reason why people follow someone on social media is that they want a good experience. Your followers want to be able to share that experience with their friends. A “buy my book” tweet is as far from that category as you can probably get. Selling books to fans requires you to build a level of trust with them. That takes time. It also demands that you put in the effort. The best way to deepen relationships – and thus sell more books – is by adding followers to your email list. The only problem is that Twitter seems to be a difficult platform from which to achieve this. This is also why many revert to paid Facebook advertising as their preferred lead-generation mechanism. What if I told you that I have found a secret formula in which you can use Twitter to add 300 new subscribers a month to your mailing list!? Interested? Alright, let me tell you how. The transaction in all its simplicity goes like this: You give them something for free; they give you their email address. Remember what I just mentioned was the number one reason why people follow someone on social media? They want a good experience! Getting something for free is hitting bull's-eye. It answers the What’s in it for me? question stronger than anything else. It's about them and not you. This is a compelling reason for followers to give you their email address. The thing is, you should not be looking for short-term gratification. Instead, consider the long haul and think about how your author career will last for many, many years to come. Are you prepared to exchange something for free now in order to build a relationship with a person? The opportunity to turn them from a random follower into a future reader who will devour all of your creations? I think it is a small price to pay. The pinned tweet is the easier of your two options, so let's begin with that one. You know when you click someone’s Twitter profile and right there, at the top of their feed, you see a tweet permanently fixed? That's a pinned tweet. Because it's the first tweet anyone sees beneath your bio, it's prime real estate which can be leveraged to move people away from Twitter and onto your email list. The pinned tweet will keep generating a constant stream of interactions every time a Twitter user discovers your profile. Included in the pinned tweet should be a shortened URL that takes people to a sign-up form that delivers the free content automatically after they have given you their email address. My own pinned tweet had, during an eight-month period, almost 70,000 impressions with 2,066 engagements. From those engagements, 166 people clicked the link and signed up for my mailing list. That’s a conversion rate of 8%. Considering how this tweet just sits there passively and requires no maintenance or action on my part, I would take such results any day. Interviews – perhaps you have interviewed another author, or several of them, and have the recordings stored away. You can offer access to these in return for an email address. Just know that giving something away is always better than nothing. At the end of this free download, you should include link(s) to where people can find your books. This is a neat, indirect way of marketing. Having reached the end of the content you have provided, you can safely assume that they are interested in learning more about what you have to offer. Otherwise, they wouldn't have come this far in the first place, right? I mentioned that you could use the pinned tweet as a vehicle to give away a free book, but I also have to say that I don’t recommend that. Your second option to get people onto your email list is a far more effective way to acquire new subscribers. I will get back to that in just a second. Click the small arrow in the upper right-hand corner of said tweet. Choose “Pin to your profile page” from the options that appear. Note that you can only have one pinned tweet set at any one time, so choosing a new one will remove any current pinned tweet. Let's get to the really juicy part which will ensure that your free book is converting as many new followers into new email subscribers as possible. Giving away free books has been heavily debated in the author community, especially over the last year or so, and I won't take up the words of this article to debate for or against such strategies. For now, I will just state that there can be no argument with the fact that getting your work into the hands of as many readers as possible will spark new interest and bring more attention to your creations. I mentioned long-term strategy before, and in this case, the idea is of course that once your newfound reader has enjoyed the free book, they will continue and buy books 2 and 3 in the series, too. Over time it will generate more sales and at the same time secure those vital reviews which are the necessary social proof that causes random browsers on Amazon to buy your books as well. As they say, first impressions are important – what better way is there to do just that than offering a new follower a free novel? I get “thank you” tweets every single day. anything like me, you get so much junk that you have stopped bothering even looking at DMs. So have many of your potential readers. Instead, you are going to welcome new followers with an @reply tweet in the form of a Twitter website card. In return for the free book, they will subscribe to your email list. The idea of using @reply messages is that the receivers could easily miss a regular tweet when it appears in the generic Twitter feed. An @reply message will, on the other hand, appear in the notification tab, and most Twitter users will check here on a daily basis. A website card is basically a special, formatted tweet, designed to stand out and at the same time drive traffic to a web address specified by you. In short, you are going to make people click this website card, which then takes them to a landing page from where, after giving you their email address, they will be supplied with your free book in return. To gain access to generate a website card you will need to leverage a bit of a “hack”. It entails accessing the Twitter Ads platform – don't worry, you won't have to spend any money on advertising. Log into your Twitter account and from there click your profile picture in the upper right-hand corner. You then select Twitter Ads, or use this direct link: http://ads.twitter.com. Since the website card is located inside the Ads platform, there is no other way to access it than pretending you are going to run paid advertising on Twitter. This also means that you have to sign up and give Twitter your credit card information. When you first arrive at the Twitter Ads page, you will be asked to set your country and time zone in order for Twitter to determine billing currency, taxes, and so forth. Go ahead and complete this. This will bring up a new welcome screen from where you can pick different ad objectives in the left-hand menu. Website clicks or conversions is listed at the top. That’s the one you want. Click it and then select Create campaign. However, you are not interested in running an ad campaign, so from here you just press Exit in the top right-hand corner of the screen. It’s right next to the Save button. This little workaround will now allow you to enter your credit card information without setting up a real ad campaign. Next, go through the steps of entering your credit card details by clicking the onscreen text reading, Enter a credit card. Once you have completed this sequence, click the Continue to my campaigns option and you will now be taken to a new screen which offers you more options than before. Among these, you will have access to the website card. Your new card needs a headline: it can be up to 70 characters long. You will need an image of 800×481 pixels that makes your website card pop up in the Twitter feed. Lastly, you need to add the URL for your landing page to the website card. This is where you want people to be redirected to whenever they click the website card. Once created, your website card will have its own URL. You can either manually copy this URL in when you message new followers or you can automate this step. The automation part is too much to elaborate on here and now. You can expect 10-15% of new followers to actually click the website card and sign up to your email list, so there is a natural limit to how fast you can grow through organic sign-ups such as these. However, if the image on your website card and the welcome text are well crafted, you are going to add 5-10 new subscribers to your email list every day. That’s 150-300 new subscribers every single month. To me, that’s pretty amazing! Your email list is the foundation of your author platform, and apart from writing well and consistently, building a quality email list should be your number one priority. Have you tried using Twitter to grow your email list? Please leave your thoughts below and join the conversation. Jesper Schmidt is a Danish Fantasy author who has also written Twitter for Authors. In the book, he shares a system that can be fully replicated in under 30 minutes a day. Why not put in 20% of the effort and gain 80% of the results? Learn more. I'm an author of fiction and non-fiction, but I also have a business, The Creative Penn Limited. I'm a professional (paid) speaker and I also sell courses and consulting, as well as writing books. I don't often talk about the business side but today I am sharing an interview with me, recorded with Julie Hall from Women Unlimited, a fantastic women's network in the UK. There are notes below the video if you'd rather read, or an audio version you can listen to. Julie and I are also joint venture partners and we're about to launch a new multimedia course, Turn Your Ideas Into Cash, which teaches people how to create and sell multimedia products for their business in order to become global, scalable and reach more people. How I got started with my business, The Creative Penn, after 13 years as an IT consultant in large corporates. How I wrote my first book ‘How to love your job or find a new one‘. How I started the blog back in 2008 and how the business has developed over time. It didn't spring into being fully formed. Freedom is my core value, and how I wanted to be location-independent so online business was the way to go to enable this. On creating a strong following: It is a slow build, consistency over time. I've got over 700 blog posts, 140 podcasts, 140+ videos and I use social media every day. Focusing on the niche. Honesty and sharing my personal journey. Authenticity within a brand. Social karma and positive attitude. Choose what you share strategically. Decide what you want to portray to the world and decide on your boundaries. Launching The Creative Penn – it wasn't really like that! One day I started a blog and nobody came – it was howling into the wind! It took at least a year before I had some decent traffic. My first product was a mega-membership course, the Author 2.0 Program – it was too big and unmanageable, plus I didn't have the audience back then. I now give away the Author 2.0 Blueprint for free, and sell modular courses for people in different situations. How I built an audience online. I paid for knowledge on how to blog, so I made sure the blog was SEO optimized and I also learned about headlines. I mention Yaro Starak's Entrepreneur's Journey and Copyblogger as sources. I still get most traffic from Google Organic Search because I SEO everything. I started using Twitter and podcasting to network with peers and my traffic grew through relationships. How everything is a slow build and step-by-step process but that's how the biggest blogs on the internet got started, those with 6 figure businesses online these days. You have to start somewhere. My own business goals. I measure income and I'm definitely not where I want to be financially as yet. I want to grow my profile as a speaker. My blog is one of the Top 10 blogs for writers, but I still want it to grow. I want to write more books and become a brand name fiction author. Networking. It's about being useful. I talk about Thrillerfest 2012 and also how I use my podcast interviews to promote other people. Always have an approach of ‘how can I help you'. Helping people who are ‘bigger' than you helps as well. On being an introvert. Introverts get energy from being alone and extroverts get energy from being with people. Shy is a different scale. I am not shy but I am an introvert so I have to psych myself up for physical events. I love speaking but it kills my energy and I have to have alone time. Reaching out to other bloggers. I network mainly on twitter and promote other people's posts and this often leads to a skype call or a podcast interview. In Australia there was a physical network for top bloggers, which I'd love to create in the UK as well. Time management and productivity. You have to think about the % split you want for your business. When you write, people don't see the work behind it. I diarize days for business and days for fiction when I work in the London Library, so I schedule everything. I have to ‘change heads' like that. Work life balance isn't important if you're doing what you love! I'm passionate about what I do, it's my hobby as well as my income, so yes, I am a workaholic and I love it! I'm also building a business so I expect to work hard at this point. I'm at the bottom of the ladder as a fiction writer, but I am happy living like this! You can join Julie and I for ‘Turn Your Ideas Into Cash' by signing up here for the free pre-launch video series and webinar. I also do 1:1 consulting for authors and small businesses who need more personalized help. Did you find this useful? Or can you share lessons from how you got started? Please share in the comments below. I am a huge fan of Twitter and an increasing fan of Google+. But I use it more for the business of The Creative Penn and less for my fiction. I also know that there are always issues with time pressure and authors must choose methods of marketing that work for them. Today, J. Steve Miller explains why he's given up trying to attract social media followers, and concentrates on other ways of promoting his book. I’m an author who blogs casually – whenever I happen to feel like it. My Alexa ranking stinks, and I like it that way. I seldom tweet. I use Facebook to keep up with my real friends. Yet, I’m self-published and very pleased with my steadily increasing book sales. I’ve studied and tried the “build a massive following” approach, which works great for some people; but don’t believe it’s the best approach for me, and perhaps most other authors as well. I actually use social media a lot, just not in the way many publishers and literary agents expect authors to use it. First, building a following consumes lots of time. Social media guru Chris Brogan recommends a minimum of two hours a day. Think of J.R.R. Tolkien, who taught full time and hung out with his family after work, writing books after his children went to bed. Had he spent those two hours blogging and Tweeting, we may have never read The Lord of the Rings. Second, there’s no proof that building a large following can work for every author. Granted, it works for some authors, but that’s not the proof we need. Compare social media to the California gold rush. Had I lived in New England in 1849 and read regular newspaper reports of people striking it rich, I’d need better evidence to warrant selling the farm and moving west. I’d want to know, “out of the last thousand people who made the move, what percentage struck it rich?” If eight out of ten, I might move. If one out of 1,000, I’d keep the farm. But that’s precisely the statistical information we lack concerning authors trying to build social media followings. Third, when I studied low profile authors who sold a lot of books, I found very few taking this approach. When authors reported on book marketing forums, “Twitter works for me,” I’d ask, “How many books are you selling as a result?” Typically, they sheepishly replied “a few” or clarified that they were defining “success” in terms of how many people they drew to their blogs through Twitter. Some good studies have been done that relate to the effective use of social media. Drawing on about ten of them, I crafted some principles that guide me. This principle is at least as old as King Solomon, who advised, “Let another praise you, and not your own mouth; someone else, and not your own lips.” It also flows from Gallup’s study of over 17,000 social media users which found that people don’t typically buy products as a result of companies pushing their own products through social media. People doubt our objectivity concerning our own products. Razorfish found 61 percent of responders relying on user reviews, compared with 15 percent relying on editorial reviews. Unfortunately, trying to sell my books to my Facebook and blog followings is much like editorial reviews – it’s me pushing my own products. Knowing the power of user reviews, I use social media extensively to give away free copies of my books for early input and early reviews. For Sell More Books!, I offered members of the popular Yahoo Self Publishing listserv a free digital copy for early input as I was still editing. After publication, I emailed those early readers a big thank you, and offered them a free paper copy, requesting an Amazon review if they felt compelled. Social networking allows me to find my niche audiences and get plenty of reviews, as well as allowing them to spread the word on their social networks. Applying this principle to marketing my personal finance book, Enjoy Your Money!, I found the top 200 personal finance blogs and offered free copies to the bloggers for their review. Almost one in four asked for a copy. Eighteen came through with a review and/or giveaway. It was both cost and time effective. My sales tripled and I didn’t have to keep posting several times a week on my blog. Instead, I went into seclusion to write my next book. 39% of people surveyed unfriend people on Facebook who try to sell them something. Even if you limit your sales pitches to one of fifty comments, many question your motives for keeping in touch once you start mentioning your books. Rather, I visit forums, blogs and listservs where people are looking for information on the topics I write about. I link to my books in my signature. A Gallup study of over two million people concluded that people need to concentrate on their strengths. If your strengths and passions incline you to blogging, Facebook and Twitter, you may do well building a following there. But if it’s a chore that you endure solely to sell your books, don’t be surprised if you make little impact. There are hundreds of ways to market your books. Choose methods that fit your unique passions and strengths. My approach goes against the flow, and a brief post doesn’t give the subject justice, so feel free to agree or disagree below in the comments and I’ll interact. Thanks, Joanna, for letting me share! J. Steve Miller writes a wide range of books on topics ranging from personal finance to philosophy of religion to writing and publishing. Social Media Frenzy expands on the topic of this post. Sell More Books! helps low profile and debut authors narrow down which marketing methods might work best with their unique strengths and books. Publish a Book! helps authors decide on the best self-publishing company. Over 1500 people a day visit his website for teacher resources on life skills and character education. He loves hanging out with his family, giving talks, caring for his 106-year-old granny, and doing weird stuff like spelunking. Connect with him at www.enjoyyourwriting.com . There are a number of key influencers in the publishing blogosphere, and Jane Friedman is definitely one of them. I have been reading Jane's articles and following her tweets since I started blogging myself, and she continues to give fresh perspectives that help authors as well as others in the industry. So I am excited to bring you this interview with her. Audio, video and text is below. In the introduction to the podcast, I mention what I have been up to: the release of the ProWriter courses with NY Times bestselling author CJ Lyons, speaking at a publishing conference, how my business model is becoming a reality and my progress on Exodus, Hunterian and rewrites of my career change book. I'm also off down under next week to Australia and New Zealand. Ok, on with the show! Jane Friedman is a former publishing and media exec who now serves as Assistant Professor of e-media at the University of Cincinnati. Jane is also Contributing Editor at Writer's Digest and speaks on writing, publishing and new media seemingly everywhere. How Jane's career started with a degree in Creative Writing and then moved into corporate publishing at F&W Media where she spent 12 years. She was publisher of Writer's Digest so was writing and publishing about writing and publishing! She also specialized in learning about the trends in self-publishing so has been aware of the market for the last 10 years and how things have changed. Changes in ebook world. The exponential growth of ebooks in traditional and independent channels. The growth is a lot slower elsewhere but in the US, the growth is huge. At some publishers it is above 20% now. The other component is not just ebook sales, but online purchasing of print or electronic which is what impacts the brick & mortar stores. This trend will change book buying. There are also a lot of new tools available. Jane mentions Pressbooks which makes it easy to create professional ePub files. Vook which may be a competitor to iBooksAuthor – multimedia ebooks with very little training. On the importance of print. My own opinion. Jane talks about print on demand for those indie authors whose customers demand some kind of print. The more interesting side are the special print editions that are a luxury product for fans. This is high quality, hardcover, special edition that is customized or personalized. I mention Cory Doctorow's special hardbacks priced at $275. What's broken with traditional publishing and are they changing? The print/return model to bookstores and the lack of transparency in reporting. Big publishing is responding to these issues but slowly and only when it benefits them. Simon & Schuster have introduced a more accurate reporting platform for their authors. But publishers are not feeling the financial pain of the existing model. Advances, royalties, return model still make them money. Jane mentions Mike Shatzkin's site which is a great site for publishing news. On discoverability and platform. The importance of meta-data, making sure all the fields are completed and accurately tagged and categorized so that your book comes up in search. Being algorithm friendly is important. Creative marketing online is another aspect and this is a combination of your own story, your own strengths and also your target audience. There is a sweet spot for everyone. Look at who you want to attract which will drive your strategy. It does need to grow organically and not just be ‘me too' marketing. Jane has a great article on author platform here. On author platform and then the breakout novels that aren't related to the size of a platform. This is out of our control – is it just luck? It's hard to break down the breakout novels that do crest on media mentions, serendipity and other factors we can't control. There is magic but we can only be prepared by putting in the effort to try to kickstart the process. People are impatient. People put in a few weeks of effort and then wonder why they aren't a bestseller yet. Set tasks that you can sustain for months and then adjust as you understand what people respond to. It's a continuous journey and if you're new to marketing, there is a lot to learn. The ‘overnight' success often comes from years of persistence. Jane wrote a tongue-in-cheek book on The Future of Publishing, which I recommend. She says ‘You can't be just a writer of stories and books anymore‘, and this is true depending on your priorities. Jane mentions the Seth Godin comment that writers shouldn't expect to make money anymore. The old attitudes don't cut it in this new world. On introverts and marketing. Jane and I are both introverts. Before social networking, marketing was foreign. But the new ways allow us to connect in non-threatening ways that allow us to be authentic and real. This is life-changing! It's not about a pushy, fake persona in marketing. It's about being you and this is sustainable over the long term. On twitter. Jane has over 150,000 followers. Jane was an early adopter but didn't understand it initially and so abandoned it. Once she had figured it out, she loved it and used it strategically. Her early start was part of the growth of her account. She was one of the first people in writing and publishing tweeting useful links and has stuck to this strategy. She tweets 3-6 times per day and doesn't use it very conversationally. Twitter has had an amazing impact. Jane explains some of the opportunities that have come her way through the connections she's made online. [I second this – Twitter, along with blogging, has changed my life.] Social media opportunities also snowball over time. It doesn't happen immediately. Have patience. Be authentic. Enjoy the process. What would a writer for the 60s make of today's opportunities? I made a mistake with Mad Men. I misread the publicity material and thought it was a comedy set in the 1960s. About 20 minutes into the first episode I hadn't laughed once so I switched it off. Whoops. On the upside when I worked out what all the fuss was about I had four seasons to catch up on. It took about a weekend: it's that good. It's not funny, but it's good. If I've read the latest publicity correctly, the fifth season will be set in the present day. That made me wonder what fictional advertising legend Don Draper would make of blogging, Facebook and Twitter. Draper today would be about the same age as Rupert Murdoch. Murdoch signed up for Twitter on a whim on New Year's Day while on a yachting holiday with his family. Within a few minutes the world could know he was having a great time in the sea with his young daughters. If Rupert can do it, it's hard to imagine Don wouldn't get there, too. After all, why wouldn't he? In the 1960s there were, relative to today, only a handful of ways to reach a worldwide audience. All of them were expensive and involved time-consuming preparation and planning. Now there's a potential audience in the hundreds of millions using services you can join in less than a minute. I can't know what Don Draper would be tweeting about — his fifth wedding? checking-in at his favourite bars? Maybe he'd enjoy the nostalgic feel of Instagram's photo filters. I can imagine, however, that he'd have no time for excuses that Twitter was too hard to “get” or that someone didn't understand how to work Facebook and couldn't be bothered to learn. Not if the person complaining had a product to sell like, say, a book. Sometimes social media can seem overwhelming. There's so much advice out there, so many sites. 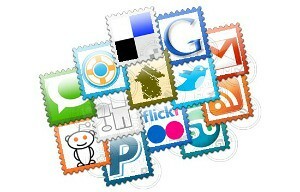 Should you be on Twitter, Facebook, LinkedIn, Foursquare, Instagram, Google Plus? Does MySpace still exist? If you are on all of those sites, how much time should you be spending on each one? It's easy to see how all this analysis can lead to paralysis. That's why I want you to stop and look into Don Draper's eyes. Somehow you've ended up in his presence, maybe you've been asked to bring him an old-fashioned at a party. You end up telling him you've written a book but it's hard to get the word out. Yes, you say but you're not sure you really get it. “And there are almost a billion people on Facebook?” he says, cocking his eyebrows. Ah, but it's so complicated and you're not sure whether you should have one fan page or a page for each of your books. “And they're free?” The eyebrows climb higher. But they're just so darned confusing, you say. If you've been struggling with what to do to kick start your own social media promotion, sign up now for Steven's free Social Media Check-Up, a free email course showing you easy ways to make sure you're using social media to maximum effect in promoting your books. Steven Lewis writes the Taleist self-publishing blog. Social networking for authors: Tips for using Twitter effectively.